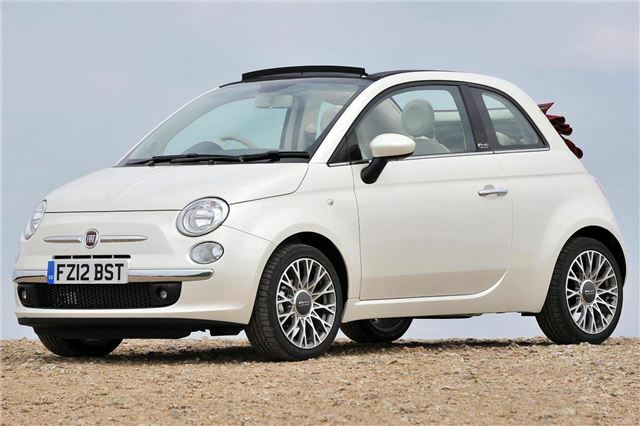 Now on the UK market for more than 4 years, the cute looking FIAT 500 is still proving to be a strong seller. 2,600 FIAT 500s were sold in the UK last month, putting it in 10th place in the Best Sellers list. The result helped FIAT to a total of 3,675 sales for the month (meaning all other FIATs sold just 1,075 units), up 25 per cent on the figure of 2,941 for April 2011. Year to date FIAT sales of 16,734 are up 9.5 per cent on last year. Since launch in January 2008 the FIAT 500 has been subject to continuous improvement. The most important was the adoption of the Ford developed rear suspension for the 500-based Ka in the 500C in Summer 2009. Steel and glass-top 500s were fitted with the improved suspension from 2010. This transforms the ride and handling of the car, particularly on bumpy roundabouts. "It is wonderful to see the FIAT 500 in the Top 10 again, proving what a great success story this remarkable car has been," says Elena Bernardelli, marketing director, FIAT Group Automobiles UK Ltd.
"It has always caught the British public's imagination, and our continuing improvements and new ideas, such as the 500C convertible, TwinAir technology, special style editions, and sub-100g/km CO2 levels for further environmental benefits, all go towards keeping the 500 among the best sellers." Available with a choice of ultra-low emissions Euro 5 engines: 85 bhp 0.9-litre TwinAir, 69 bhp 1.2-litre and 95 bhp 1.3-litre MultiJet turbodiesel, the FIAT 500 has a 2012 starting price of £9,960 OTR for the 1.2 Pop. Residual values are also very high, with Glass's Guide quoting a May 2012 dealer retail price of £7,250 for a 2008 500 1.2 Lounge with 45,000 miles, from an original 2008 list price of £9,215. Not many cars drop just £500 a year over their first four years. On top of which, in its 4 years on the UK market, the FIAT 500 has proven to be remarkably trouble-free.